Breast cancer remains one of the leading cancers diagnosed, behind heart disease and lung cancer as the most prevalent cause of death in women. The odds do not seem to be in our favor. 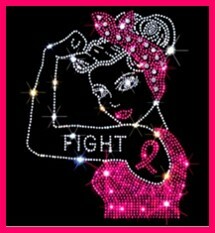 The average risk of a woman in the United States developing breast cancer is about 12%. That means that as women age, one in eight women will be diagnosed over the course of her lifetime. But there is continued progress and there is hope. Earlier detection through screening, increased awareness and better treatments, reduce a woman’s risk of dying from breast cancer by almost 40 percent. The month of October is dedicated to raising breast cancer awareness, so get your pink on, share this blog post and continue to fight for the cure. One of the biggest myths about breast cancer is that it is discovered by women themselves. Many women do find their cancers but very few find them while doing a self-exam. That came as a shock, as I always believed it was a first line of defense in finding cancer early. However, no study has found BSE reduces breast cancer deaths. Cancer organizations like the American Cancer Society no longer recommend every woman do a monthly BSE and the US Preventive Services Task Force recommends against teaching women BSE. Instead, they recommend getting acquainted with how your breasts look and feel, providing you with a familiar, integrated sense of your body, which helps you identify something that doesn’t look or feel right. Only about 5% to 10% of breast cancers are thought to be hereditary; caused by abnormal genes passed from parent to child. That means the remaining 90 to 95 percent of breast cancer is environmental. An individual woman’s breast cancer risk may be higher or lower, depending on a number of factors, including her family history, reproductive history, race and ethnicity. That is a harsh fact, reminding us that lifestyle, along with environmental factors, can impact your risk for breast cancer, as does your diet and the amount of alcohol you drink. Underwire bras do not cause breast cancer. A 2014 scientific study looked at the link between wearing a bra and breast cancer. There was no real difference in risk between women who wore a bra and women who didn’t wear a bra. Antiperspirants do not cause breast cancer. There is no scientific evidence to support the claim that antiperspirants cause breast cancer, either because of toxin buildup or aluminum exposure. Smoking is linked to a higher risk of breast cancer in younger, premenopausal women. Research also has shown that there may be a link between very heavy, second-hand smoke exposure and the risk of breast cancer in postmenopausal women. Annual mammograms don’t prevent breast cancer, but they can save lives by finding breast cancer as early as possible, when it’s most treatable. Mammograms use X-rays for early detection of cancer in women and men. Further testing can be done using an MRI or an ultrasound. MRIs use radio waves and magnets instead of X-rays to take pictures, determine the size of the cancer and detect other tumors in the breast. A breast ultrasound uses a small wand directly on your skin that gives off sound waves and picks up the echoes as they bounce off tissue. The echoes are made into a picture viewed on a computer screen. Ultrasounds indicate if a lump is a fluid-filled cyst or a tumor that could be cancer. 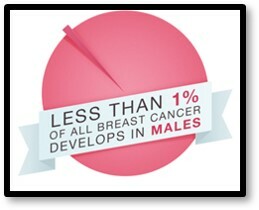 Male breast cancer is very rare but men have breast tissue and they can develop breast cancer. Less than one percent of all breast cancer cases develop in men, and only one in a thousand men will ever be diagnosed with breast cancer. Black men have the highest incidence rates (2.7 out of every 100,000 men), followed by white men (1.9 out of every 100,000 men). In 2018, 2,550 men are expected to be diagnosed with the disease and 480 will die from it. Only a small percentage of breast lumps turn out to be cancer. If you discover a lump in your breast or notice any changes in breast tissue, it should never be ignored. It is very important that you see a physician for a clinical breast exam. He or she may possibly order breast imaging studies to determine if this lump is of concern or not. Schedule an annual mammogram and always keep your follow-up appointments. Take charge of your health by knowing how your body looks and works. 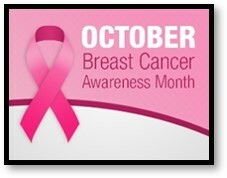 Establish ongoing communication with your doctor, get an annual clinical breast exam, and be informed. It is critical that we prioritize prevention both at the research and the public health levels. Find the Cause. Find the Cure. 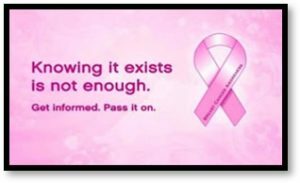 This entry was posted in Health & Safety, Susanne Skinner and tagged breast cancer, breast tissue, BSE, early detection, male breast cancer, mammogram, MRI, National Cancer Institute, October is breast cancer awareness month, self examination by Aline Kaplan. Bookmark the permalink.